If you've considered trying woodturning you'll find artist and author Barry Gross puts the fun back into turning with this approachable and enjoyable guide. 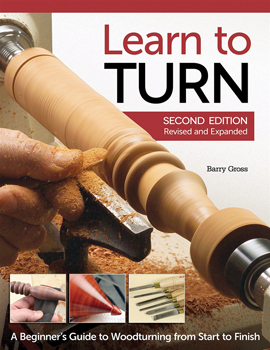 Gross gives advice on every step of the turning process, including selecting the right lathe, basic safety and woodshop setup, an overview of the proper tools and how to use them, and the basics on sharpening, sanding, and finishing. Step-by-step instructions for eight projects such as a simple bowl and a pepper mill are included. This guide includes surprisingly simple solutions to common beginner challenges.